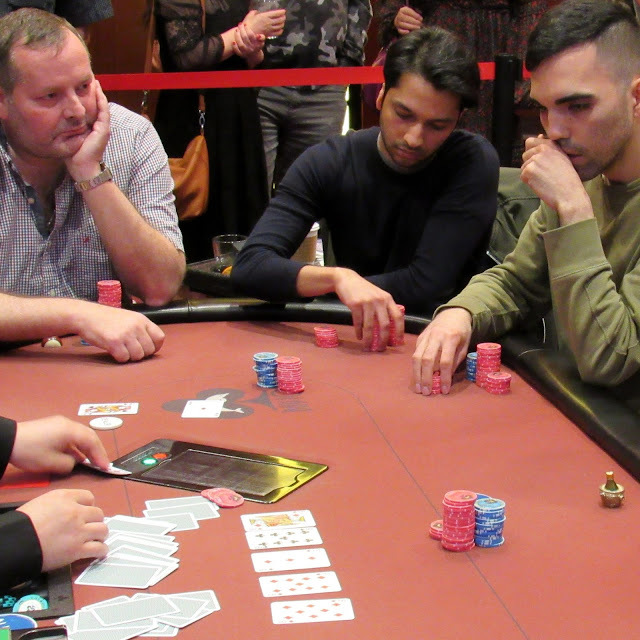 Mohsin Charania is once again mixed up in a pot, this time holding [Ad][Qs] against a shorter stack's pocket tens. The [Kd][9c][3d] brings nothing for Mohsin, but the [9d] gives him a flush draw to go with his two overcards. The [8d] completes the flush sending his opponent to the rail. The field is now down to 14 players and play will continue hand-for-hand.